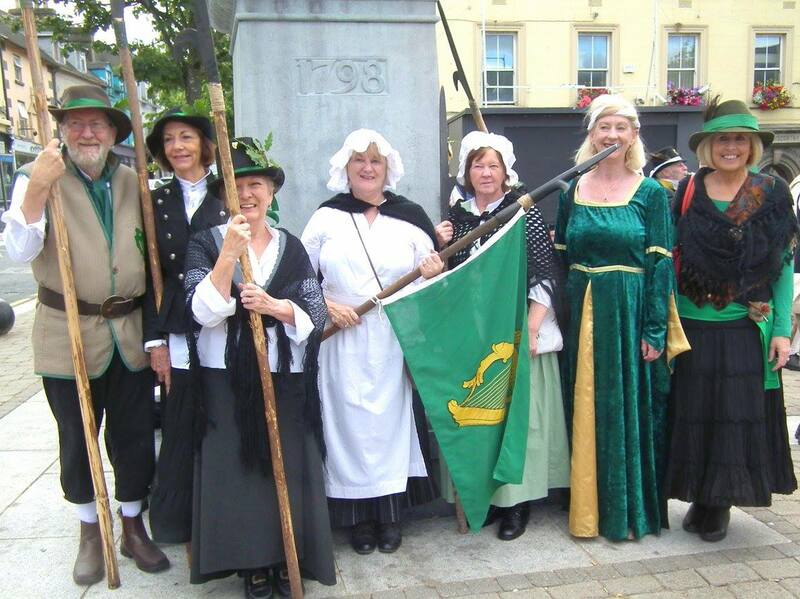 1798 Rebellion – 220 year anniversary re-enactment! The Aussies are coming! It is with great excitement that I announce the once-in-a-life time chance to participate in an event to be held in Enniscorthy from 14th – 17th June this year. And, guess what? We are invited! The Aussies are coming! Anyone who has a Rebel convict in their family transported to Australia on the Rebel Ship “Minerva” arriving at Port Jackson 11 January 1800 and would like to join me at a story-telling /drama event in the Drawing room of the Enniscorthy Castle on the evening of Thursday 14th June is invited to proudly give an oral depiction of the life of their ancestor as an Irish Rebel and later as a convict and first settler in Australia. Friday 15 June, Launch night. 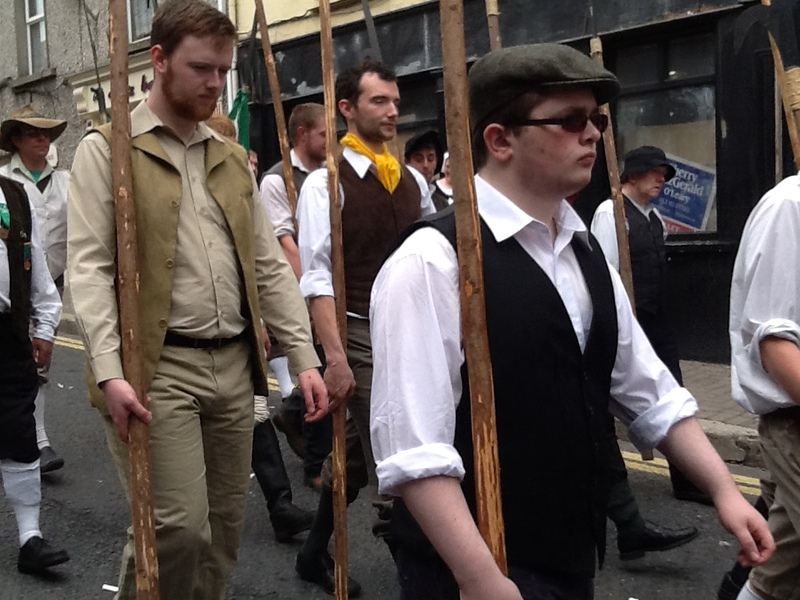 Saturday 16 June, Re-enactment of Street Battle New Ross. The story-telling event will be held in the drawing room of Enniscorthy Castle. It will feature Irish-Australian descendants of the Rebel ship Minerva convicts who were transported to Australia for their involvement in the 1798 Rebellion. It would be wonderful if we could, as a group, dress in period costume of the 1798 era and present individual histories of our ancestor with a monologue of the events that led up to their arrest, transportation on board the Minerva to Australia and the life they led after their arrival at Port Jackson on 11 January, 1800. I have no doubt there will be some wonderful stories to tell and would encourage as many of you as possible to participate. I believe that our stories will be an eye opener to a lot of the people present. 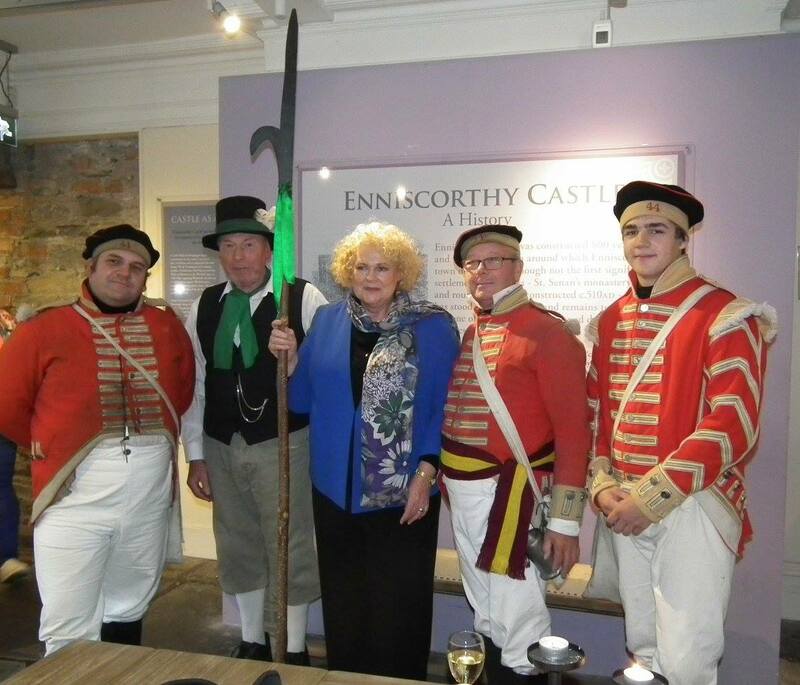 When I was honoured with the wonderful “Welcome Home” Ceremony at Enniscorthy Castle in 2015, even though I was still shaking from my mock “Arrest” I realised as I commenced my oration of the life of John Prendergast, Irish Rebel, that so few people present knew that a whole ship load of Rebels had survived the rebellion and been transported to Australia. 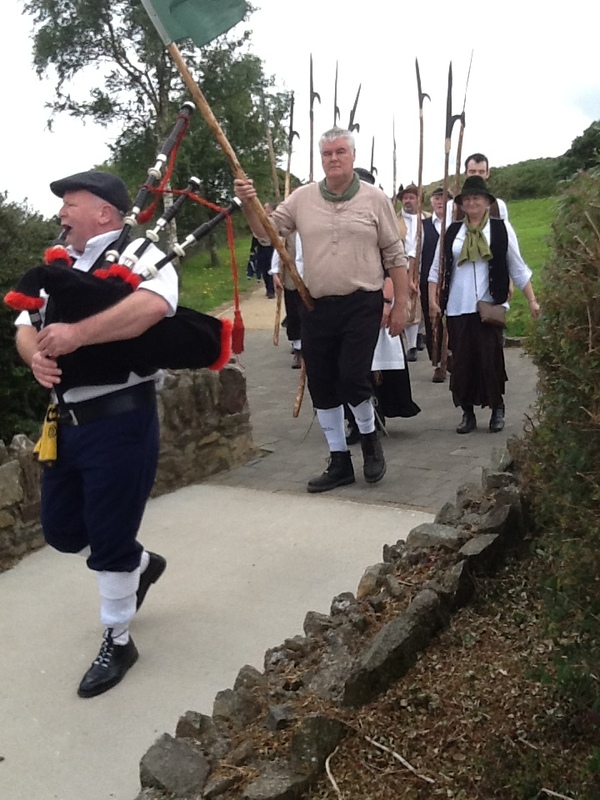 The dignitaries present believed that none of the Rebels had survived because the yeomen prevented the surviving families from claiming the bodies of their loved ones following the battle of Vinegar hill. For three months over the hot summer of 1798 thousands of bodies rotted on Vinegar Hill making them unidentifiable when the time came for families who were allowed to retrieve their loved ones and bury them with dignity. I can understand why the Irish families did not expect that the Rebels would survive due to the barbaric torture that they had suffered. The very first book that I read about the prisoners on board the Minerva by John Washington Price “The Minerva Journal” described the barbaric scene he witnessed when the brig “Lively”rafted up to the Minerva in Cobh and he went on board to see them. ‘Tis true they were prisoners, but should be treated as such, and if they deserved death to hang or shoot them, but not to treat them with that unprecedented barbarity which they experienced on board the Lively. I can positively assert, there are many on board this brig, whom it would have been charity to hang prior to their departure from Dublin than to destroy them in this cruel and barbarous manner; the most of them are ill on board and there are many that will never recover from the hardships they have suffered – Indeed I must say I never saw a more unhealthy looking or miserable set of human beings in my life”. We descendants of those Irish Rebels will be eternally grateful to Dr. John Washington Price for his kind treatment of the Rebels and to Captain Joseph Skelfeld who refused to sail from Cobh until the Rebel convicts had sufficiently recovered from their injuries. 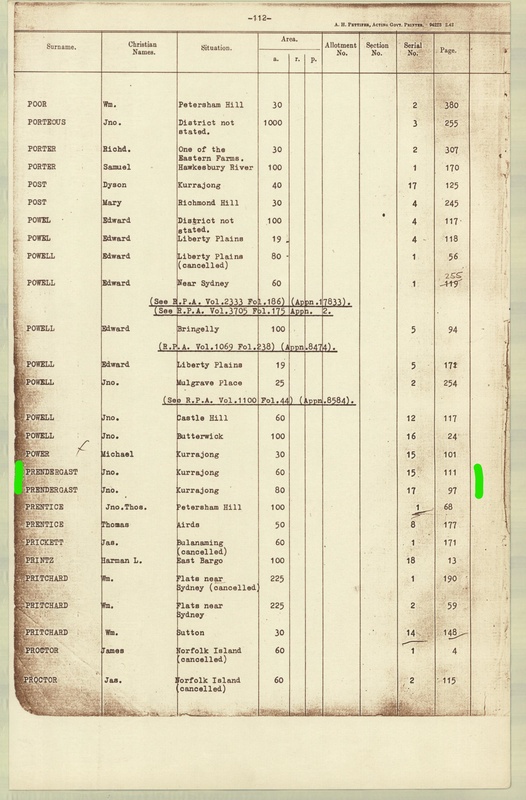 Only 3 prisoners died and the other Rebels were transported to Australia where most did recover and realised that they had been given a second chance at life. Even though they never got to see their beloved country of Ireland again, they became upstanding citizens and innovative first settlers of this beautiful country of ours – Australia. Let us tell our story! 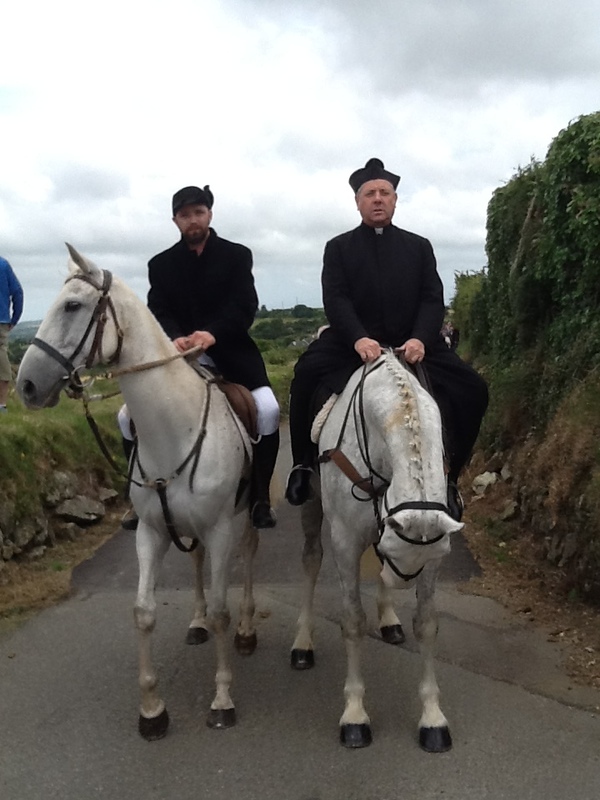 I am back in the Whitsundays and constantly in awe of the amazing trip I enjoyed to Ireland in May/June this year. Visiting the National Archives at Kew, I changed trains at Turnham Green Station. This is the very area where King William 111 would have been assassinated had it not been for my ancestor Sir Thomas Prendergast, 1st Baronet. I did not know this at the time but found out a few days later about the Jacobite plot with the intended ambush of his coach at Turnham Green on Saturday 15 February, 1696 and Sir Thomas Prendergast’s role in preventing the murder. 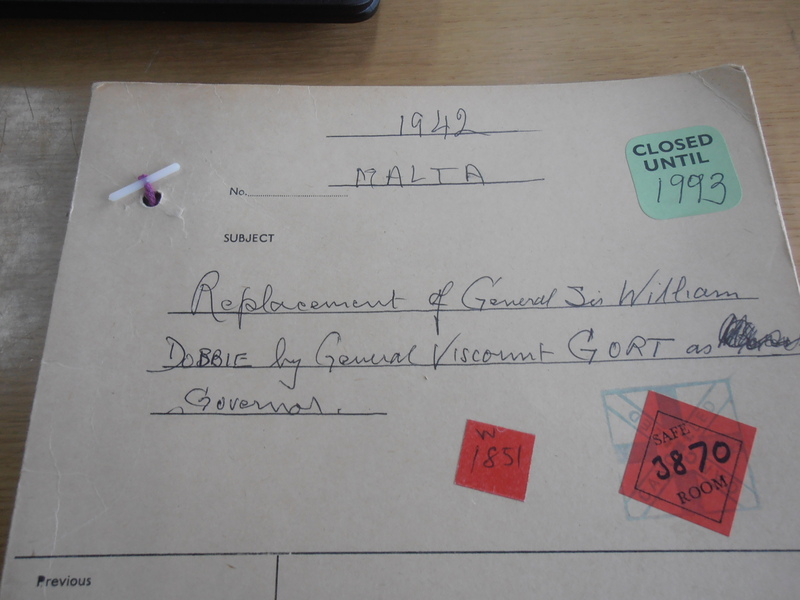 At the National Archives Kew I was delighted to read the details of Sir John Standish Surtees Prendergast Vereker, Baron Kilarton of Gort, sixth Viscount Gort, and the role he played as Commander in Chief of the British Expeditionary force at Dunkirk. Lord Gort is descended from Maurice de Prendergast, as am I. Never in my wildest dreams could I have imagined that I would have been given the opportunity to deliver a Conference paper at Nenagh if it had not been for the faith Lorna Moloney showed in my ability. Not only did I share my research with the Delegates in Nenagh but I was delighted to meet 4 other Prendergast researchers at the Conference. By chance, the evening that I did not join the rest of the group on an outing in Nenagh, I met two Prendergast descendants at the Abbey Court Hotel where we were staying during the Conference. I had not realized how much I had in common to all the Prendergast descendants until we started comparing notes. There were so many similarities. It was uncanny. At the end of the Conference, Medieval Genealogy expert Kenneth Nicholls spiked my curiosity as under his breath he ruminated “Thomas Prendergast, hmm, he was involved in the 1696 conspiracy to assassinate King William 111” as he handed me my certificate. 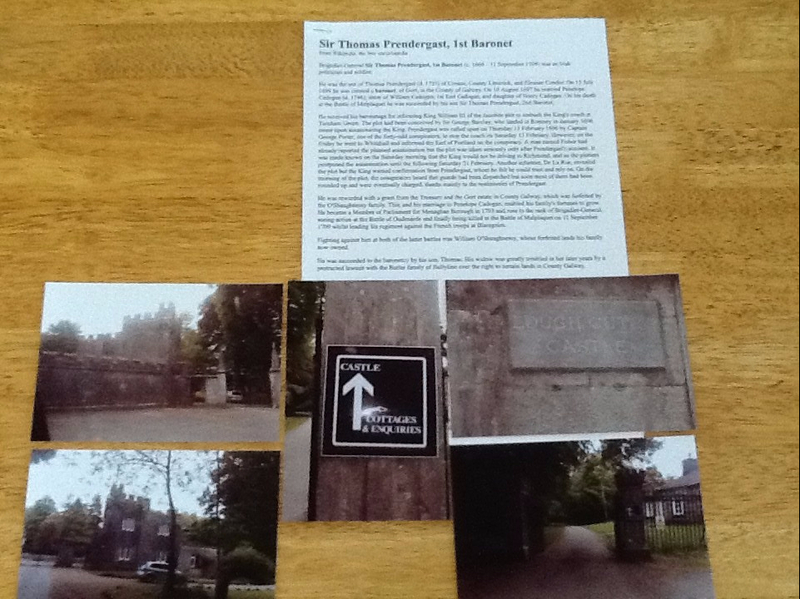 Of course I couldn’t wait to google Sir Thomas Prendergast to find that he had helped prevent the assignation by a Jacobite plot and was awarded land at Gort for his intervention. Sue generously shared her friends John and Joanne Boyle and their lovely children with me on the weekend following the Conference when we stayed with them. It was a wonderful way to wind down before the next hectic leg of the trip. Not only were we taken care of beautifully but driven around to areas in Ireland that we would not have had the chance to see. 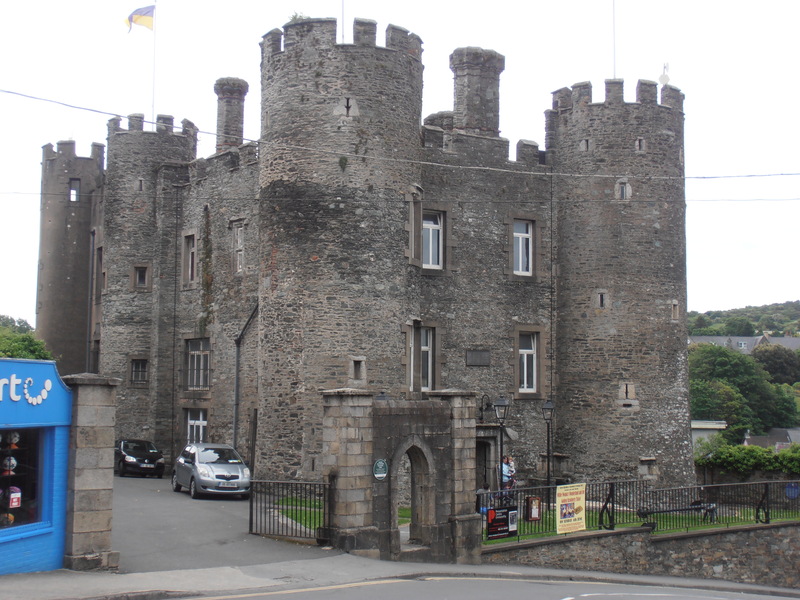 I was surprised and delighted to discover that we were staying just 15 minutes from Gort and grateful to Joanne and John for offering to drive me to see the Castle that my ancestor build. 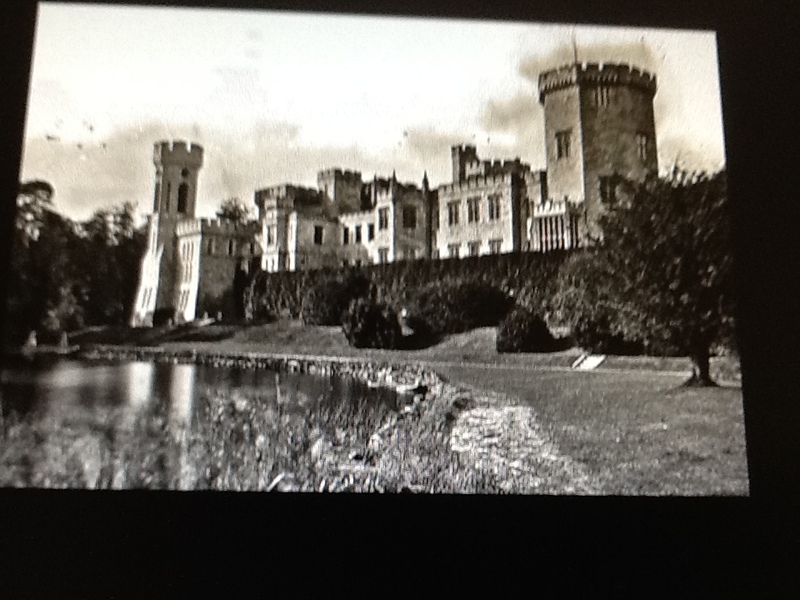 We enjoyed walking on the land my ancestor Sir Thomas Prendergast, 1st Baronet was awarded at Lough Coutra Castle in County Galway. 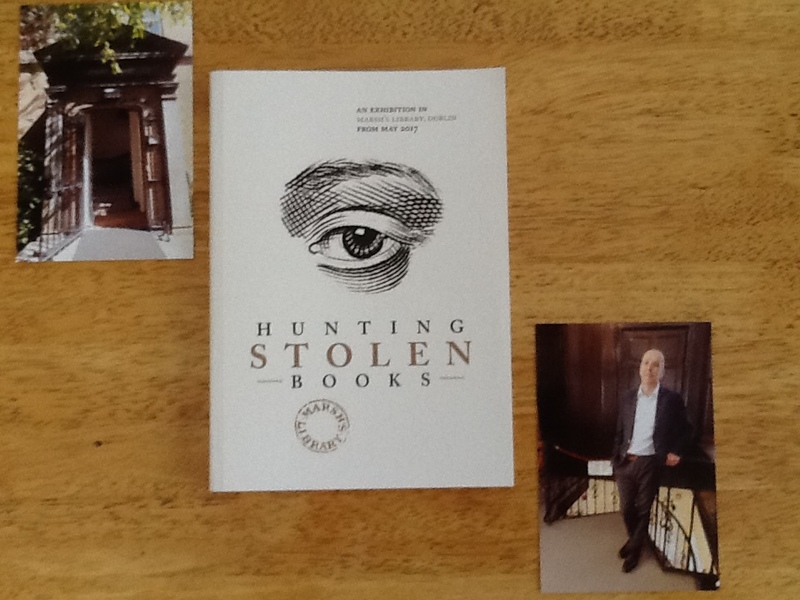 I had contacted Marsh’s Library whilst still in Australia prior to my visit to Ireland and was delighted to be shown through this wonderful Library by Jason McElligott who had taken the time to retrieve books and the signature of my ancestor John Patrick Prendergast for me to view. 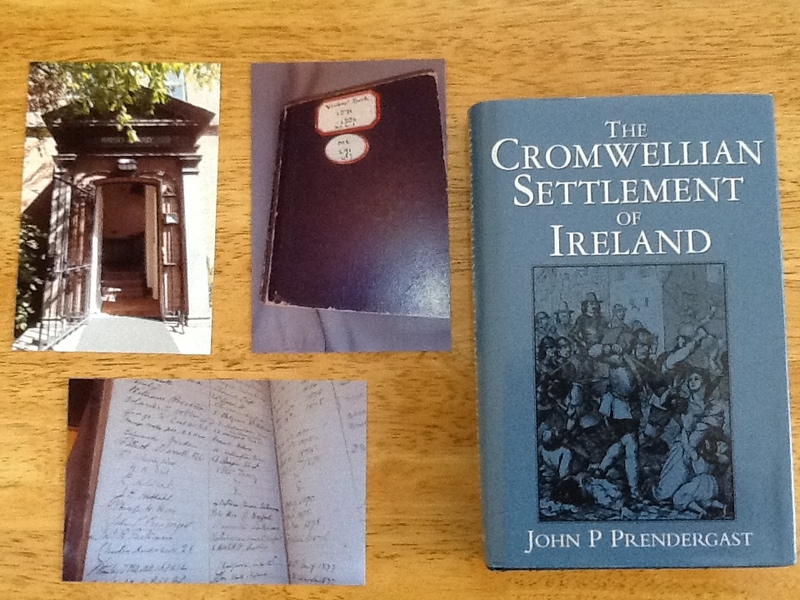 John Patrick Prendergast is the author of “The Cromwellian Settlement” and I was able to order a copy on line through Biblio. This wonderful text book arrived on Monday and I will learn so much more about Irish History by reading all about it. 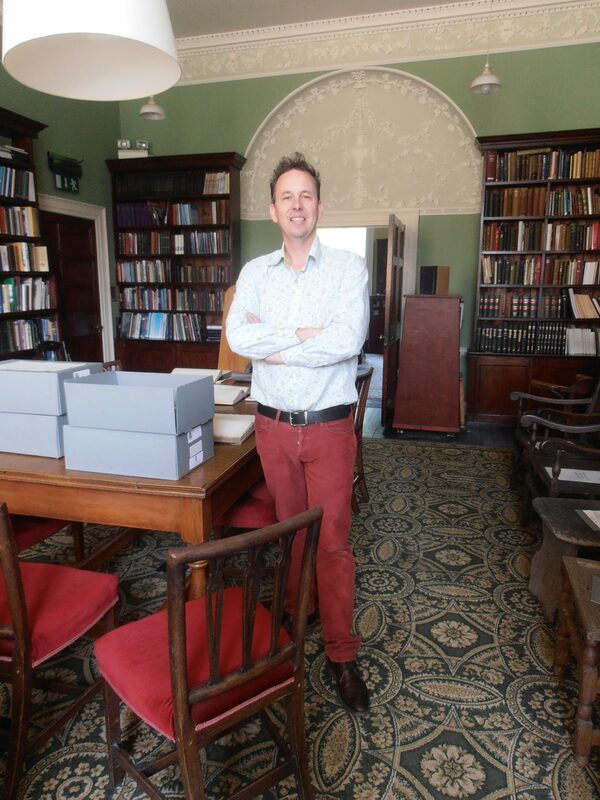 At the Royal Society of Antiquaries, Ireland Conor Lucey escorted me through this wonderful repository and Aaron Binchy showed me items that would help me with my Prendergast research. 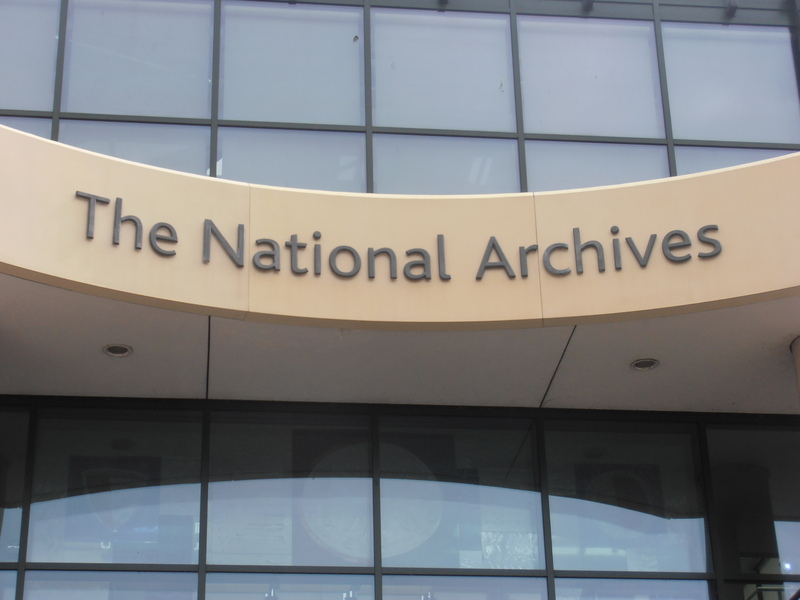 At the National Archives of Ireland I met Maire MacConghail who is the President of the Accredited Genealogist, Ireland who helped me research the two Wills of John Prendergast and Catherine Prendergast and may well be our John and our Catherine. 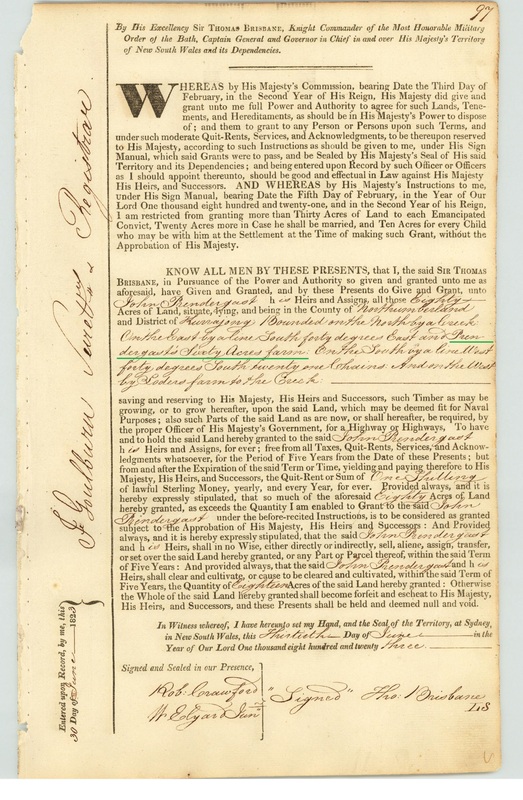 I have yet to consult with a Legal Genealogist to find out if the contents of the Will prove the connection. Stay tuned! Wandering around the streets of Dublin after my visit to the National Archives, in the distance I noticed St. Anne’s Church. As I approached I realized that I was in Dawson Street and recalled that I had seen a Deed for a property leased in 1804 by Francis Prendergast, Registrar of the court of Chancery. This property was at 38 Dawson Street. I walked into a health food shop and asked the attendant if she knew about a large property in Dawson Street that in the early 1800s had outhouses and a stable. The young girl replied that all those buildings other than the Lord Mayor’s house had been built out and that there were no stables left in Dawson street. I looked so disappointed that she suggested that I visit the Little Museum of Dublin. 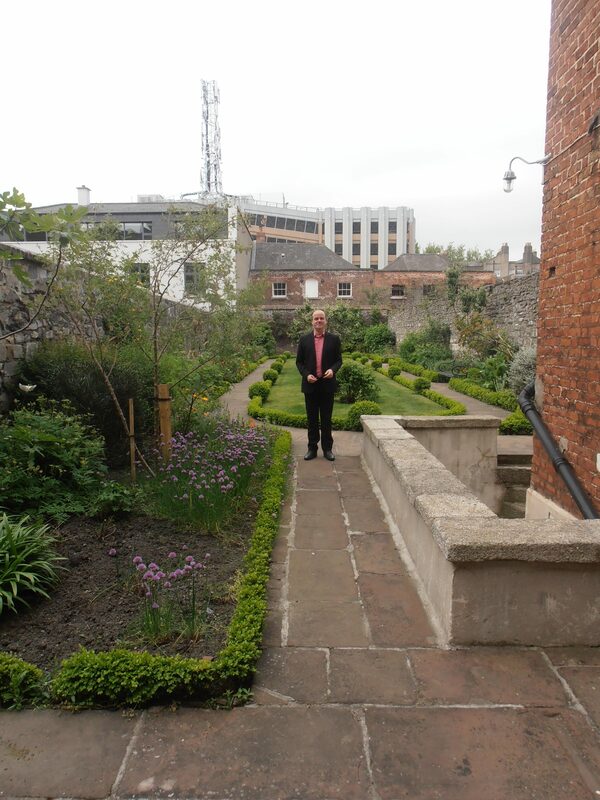 So I walked to the Little Museum of Dublin where June was in attendance. When I enquired about the property my Prendergast ancestors had leased in Dawson Street, her eyes lit up. 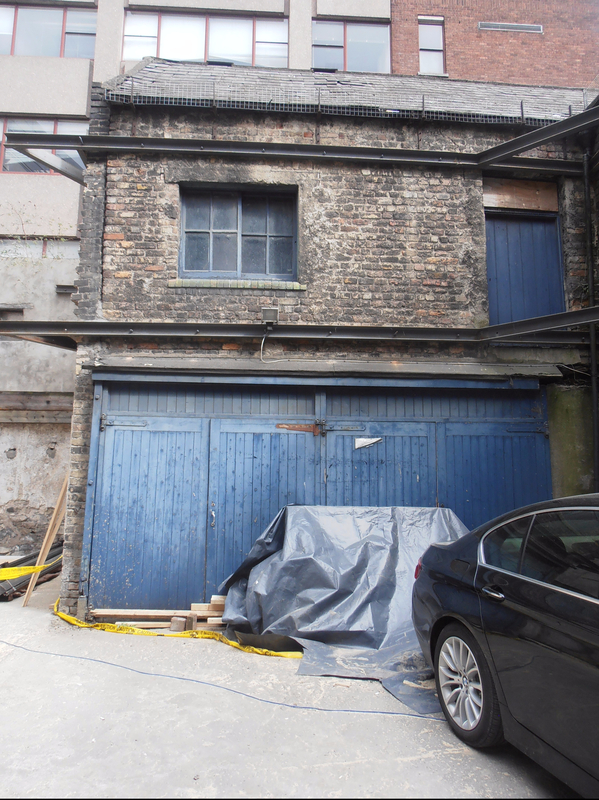 “Come with me” she said and took me to a back room where we could see through a window what appeared to be the stables of an excavated building two doors across in Dawson Street. 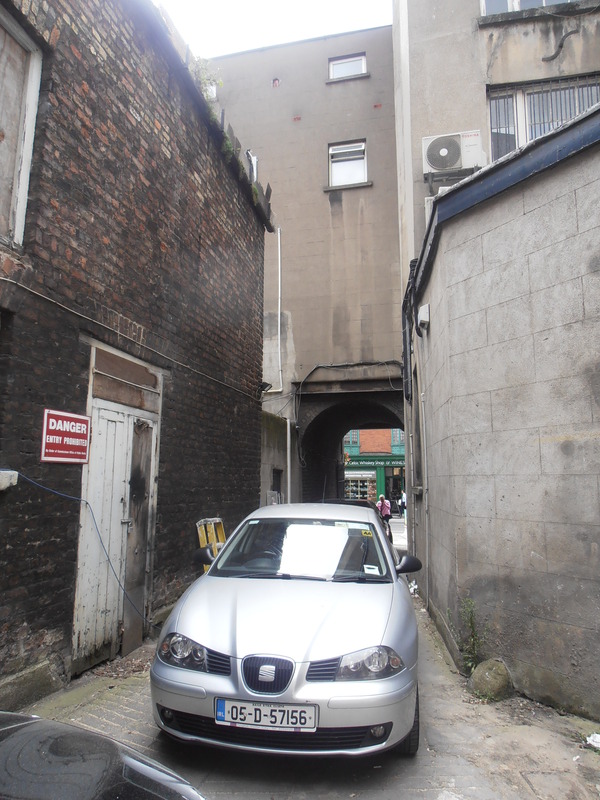 I asked June if I would be able to take a look at the stables but she said that the property would most likely have no access to Dawson Street. Undeterred I walked back along Dawson Street and found what normally would have been a blocked off lane way was open but blocked by a car. Without hesitation, I walked down the lane and on to the property. There amongst the excavation work taking place I could clearly see a blue stables door. Two staff members from the Real Estate next door looked surprised when I began asking about the property and the young lady seemed to know about the property. She told me that the street number was now 18 Dawson Street but years ago the numbering had changed. The young man looked so surprised when I told him that I was pretty sure that we were standing on property where my Prendergast family had lived in 1804. Just then the developer arrived to take a look at the property. When he approached me I asked if he minded if I took some photos as my ancestor Francis Prendergast had lived here in 1804. “We might be related” he said. I was so stunned that I did not think to ask his name or how we could be related. 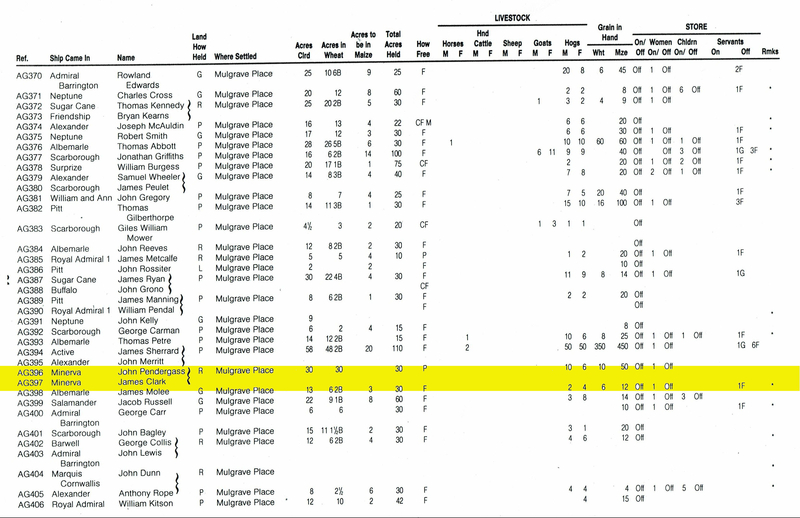 Since returning to Australia, I have viewed historical OSI Maps and the property as per the description of the Deed appears to be the very property that I was standing on. Now I just have to find out who the developer/owner/relation was. This is also the property where John Patrick Prendergast, the historian of the the Cromwellian Settlement in Ireland was born. He is the eldest son of Francis Prendergast. At the National Library of Ireland it was lovely to catch up with Kay Caball who was the Archivist on duty and also one of the experts at the Conference in Nenagh. They were all so kind – nothing was too much trouble. 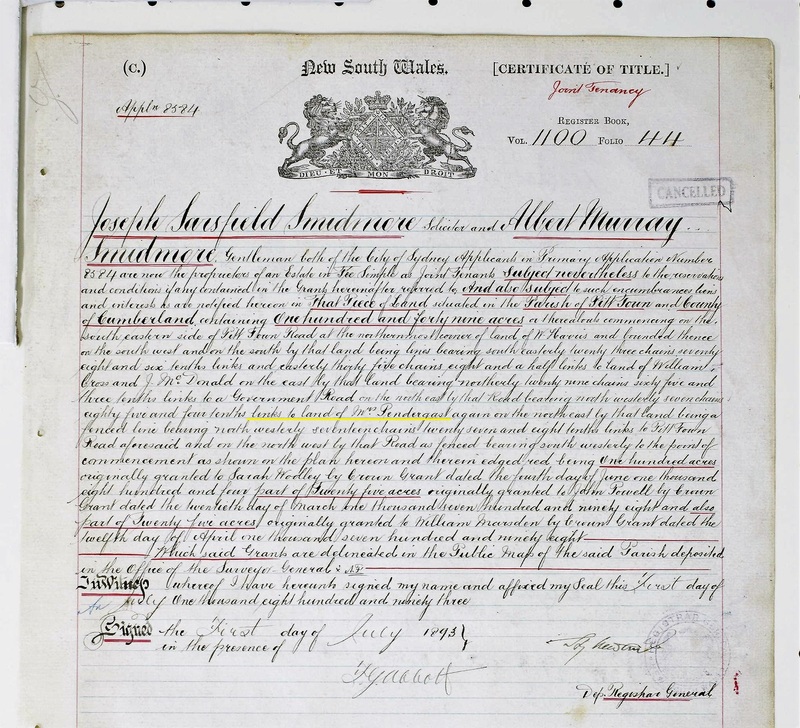 I was able to view two Deeds at the Registry of Deeds that I discovered on my bespoke Archives visit in 2015 whilst being accompanied by John Nangle. Having read the content I was able to order them and they have arrived in Australia since my return. 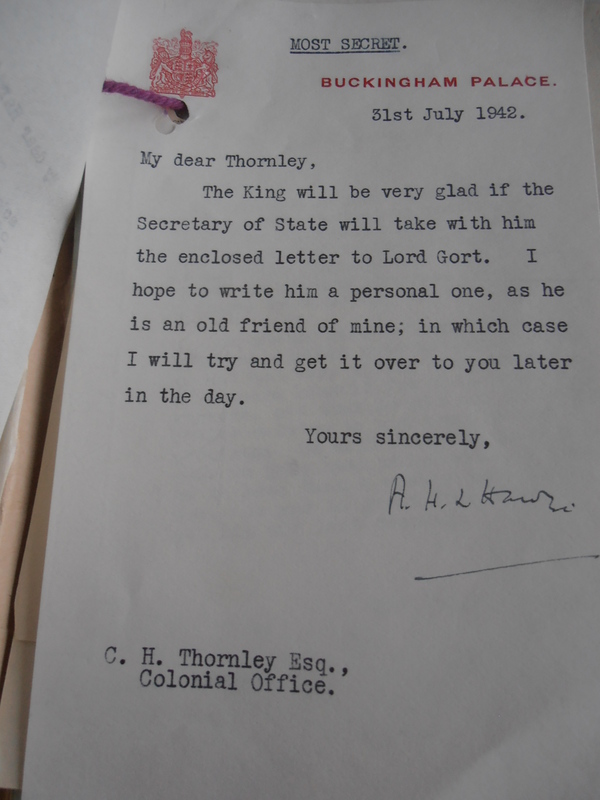 They are being transcribed by my clever cousin Mark in Sydney and I will shortly be able to share the details with you. 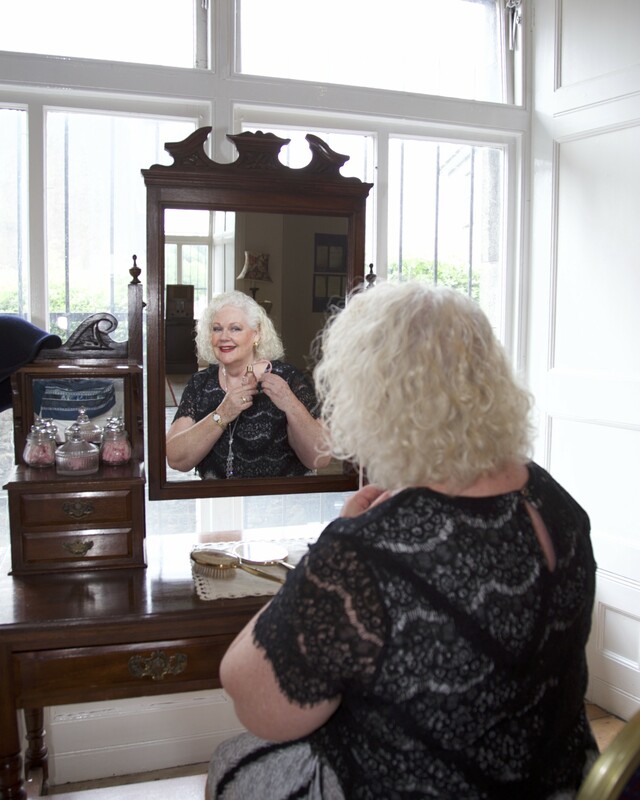 High Tea Enniscorthy – Princess for a day. Never in my wildest dreams could I, an Australian born Prendergast with Irish roots, host a High Tea at Enniscorthy Castle. I still have to pinch myself to believe that it actually happened. I enjoyed myself immensely and have received many messages from my guests telling me that they did too. I am extremely grateful to the Kind and helpful Enniscorthy locals who arranged everything prior to my arrival in Ireland. I could not have held the High Tea without your support and encouragement. You are wonderful. Also, I could not have brought messages of welcome without the generous support of the Australian Mayors of the Hawkesbury, Monaro, Victorian High Plains, East Gippsland and the Whitsundays who graciously wrote warm letters of welcome and sent me armed with gifts to give to the Chairman County Wexford, Paddy Kavanagh. I have received so many warm letters and want to share one of them with you. 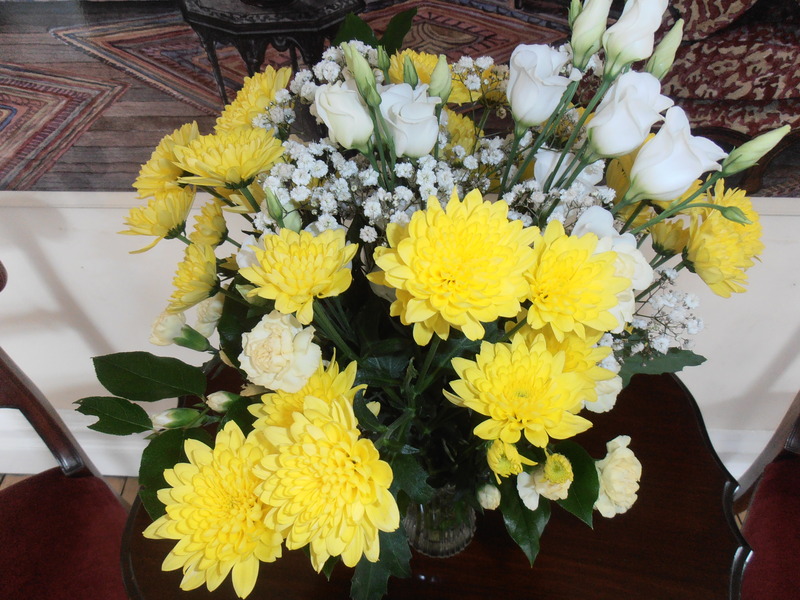 A huge big “Thank You” for a memorable High Tea and afternoon in the Castle. It was a wonderful occasion and so enjoyable!!! Little did our forefathers ever imagine that we have now formed yet another important link due to our treasured past!! Jenny, if you really focus on our “convicts” who were transported for standing up for their/our national rights, being labeled as criminals, this was the way our oppressors thought and acted at the time. However, what they did was to single out the bravest and most loyal Irishmen for standing up for their principles and beliefs, and provide Australia with rich “seed capital” to form the Australian nation. 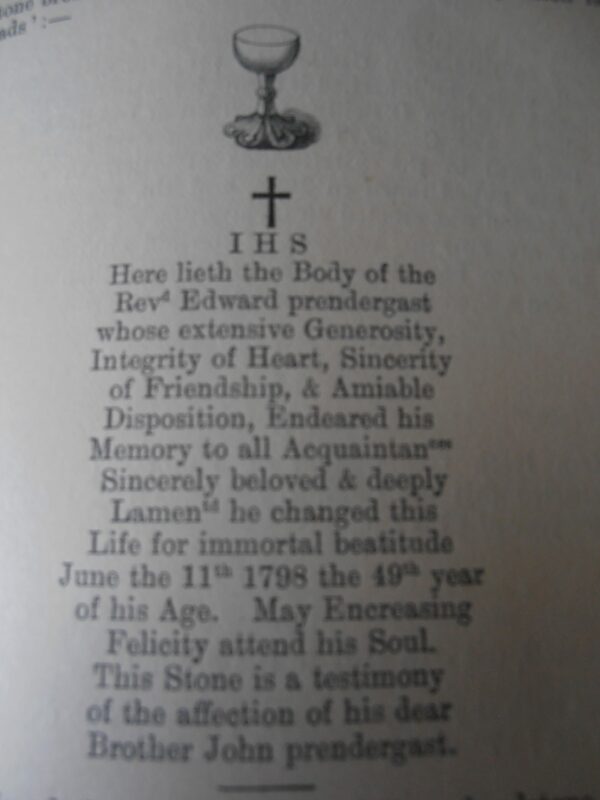 They were very resilient, brave and of strong character as indeed your ancestor John Prendergast proved. I hope you have a safe journey home and that, whilst your luggage may not be any heavier, that you will bring back “loads” of further memories. With every good wish from Enniscorthy and its people. There have been at least 3 Newspaper items written about my trip to Ireland and I proudly share them with you here. If you would like to read them, please click on………………. I had just completed the marathon walk at Singapore International Airport to reach gate lounge A21. For anyone who has taken the long walk from check in, at least half an hour, you will know that it probably would have been wiser for me to have taken the train to reach this gate lounge. Singapore – a nice way to unwind. Old fashioned service with a smile seems to no longer be “on trend” at most hotels. Some impersonal Receptionist, usually very good looking but who appears to have overdone the Botox and can’t smile, checks you in without a smile in super fast time with little or no information. No wonder so many guests return to say that their Key Card does not work – they just haven’t been given instructions on how to use it! Not so here at the Concord Hotel in Singapore. The Porter whose name I do not know but has been here since I first started staying in 2013 met me at 6.30am this morning with a cheery “Welcome Back” and a freshly squeezed fruit juice mocktail.”Just to freshen you up”, he said in a fatherly manner as he took my heavy cases. He could see that I was exhausted after my 12 1/2 hour flight from Copenhagen. I keep hearing the melody to the lovely old song “Wonderful, wonderful Copenhagen” in my mind and have discovered today that Copenhagen truly is wonderful. I took a leaf out of my travelling companion Sue’s book and have enjoyed being driven around all day on the Hop-on-hop-off bus and found that this is the best way to see the city of Copenhagen. I have also learned a lot about this beautiful city. The University was first opened to students in the 1500’s. I felt really sad as I was watching the scenery wiz by on my Wexford Bus journey from Enniscorthy to Dublin Airport. I have been made feel so welcome by the lovely Irish people that I have met. I will miss you all. However Dublin Airport, like all international airports is a nightmare. By the time I had lugged my baggage from Terminal 2 where the bus dropped us to terminal 1, I couldn’t wait to check in my heavy baggage, relax in the gate lounge for a while, board the plane and be on my way to Denmark. A Princess in Enniscorthy Castle. Every little girl dreams of being a Princess in a Castle. We grow up with stories of Snow White and Cinderella but no one really believes that they can live in a Castle – even for a short time. Today I felt like a Princess. 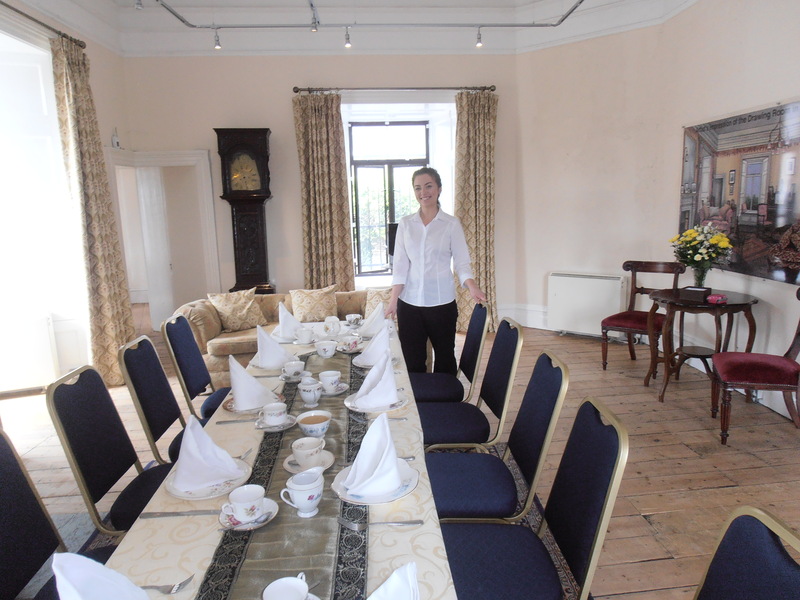 As I watched the tables being laid, the flowers being arranged, the food being plated up and people running to and fro to ensure that everything was ready for my High Tea to take place in Enniscorthy Castle, I felt like a Princess. The sun is shining, the birds are singing. What could be a better way to start the day for such an historical event? 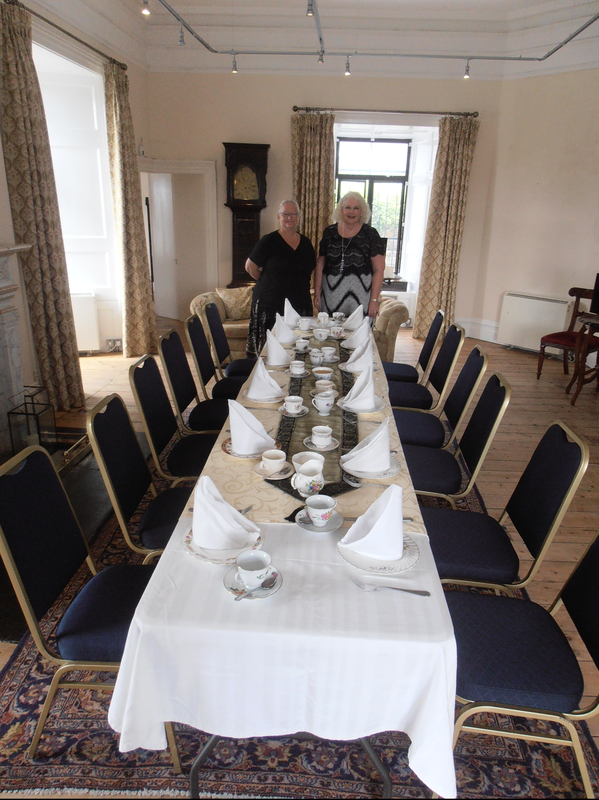 High Tea at Enniscorthy Castle. Whilst serving me yet another delicious breakfast, Moira greeted me with a “Good morning bride”. And, yes I do feel as a bride does on her special day. Just as a wedding day takes many hours of planning and there are many people involved, so has the High Tea celebration that will be held at Enniscorthy Castle this afternoon. There are a number of people who have been involved that I would like to thank. 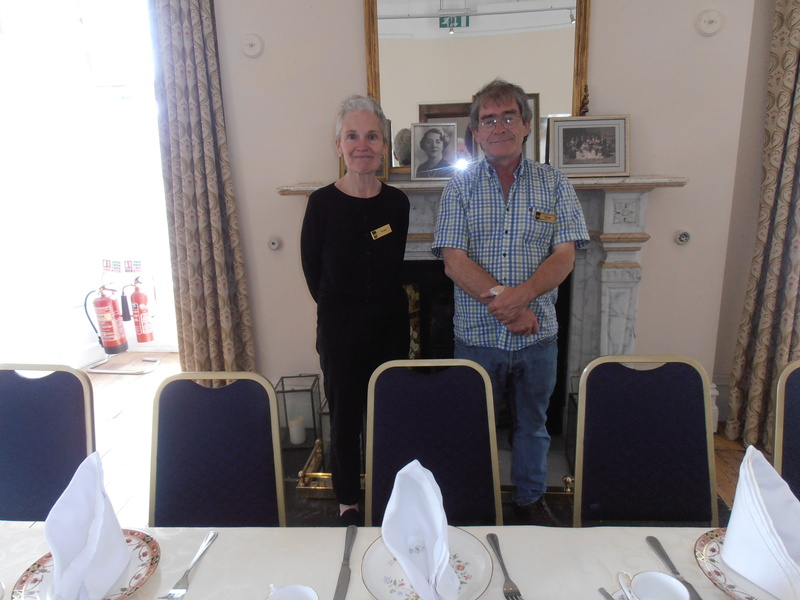 Firstly Mary O’Higgins of Enniscorthy Castle who was delighted for me to host the High Tea in the Roche Room of Enniscorthy Castle.Without Mary, this event would not be happening. Cathy Keane of Wexford Historical tours for all her support. Cathy has allowed me borrow her TV to screen the two videos that will be played today. She is in charge of the technology and photography. Maria Nolan local Enniscorthy Reporter and photographer who will record and report this historical event. David Hasslacher, member of the last family to reside in Enniscorthy who is delighted to be taking my guests on a walking tour of the Enniscorthy Castle along with his two friends Betty and Bernadette whose families were staff at the Castle when David’s family lived there. Their memories of life in the castle will be very interesting. William Kinsella of Wildflower Cafe who will be creating the most delicious and beautifully presented High Tea treats and has gone “over and above” to visit the castle on several occasions to Email photograph of the room to me and also to meet with me to discuss the menu. 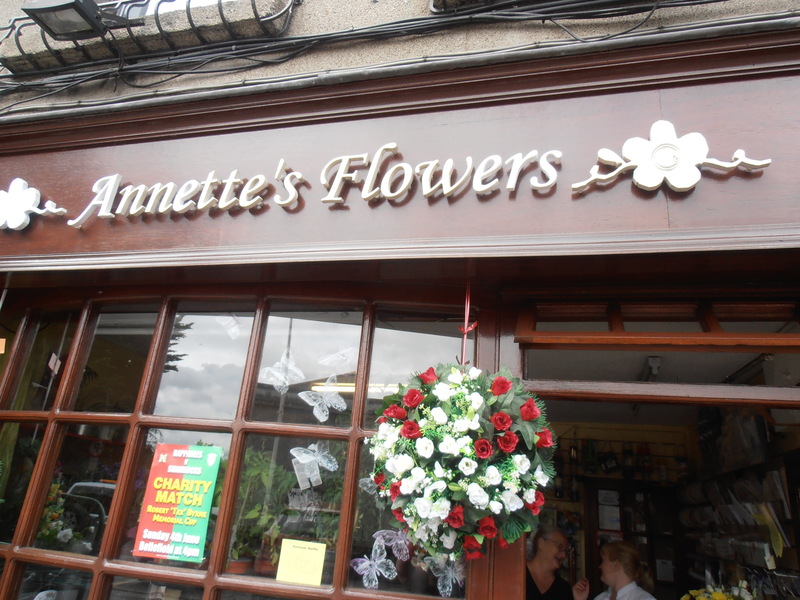 Annette and Nessa of “Annette’s florist” who are arranging some beautiful flowers for the Roche room as I write. The always happy and helpful staff of Enniscorthy Castle, Mary, Greta,Mary and Moira who have been in a flurry to get everything organized for today’s celebration. Aer Lingus for allowing me “Priority Check in” to ensure my gifts from the Mayors arrived safely. Administrator of the Snowy Monaro Shire Dean Lynch, who on such short notice, met with me during my visit to Cooma and penned a warm letter to Cllr. Kavanagh. He also sent me with a beautiful book featuring the Snowy Monaro region. Mayor of the Whitsunday Regional Council, Andrew Willcox who although under a great deal of pressure so soon after Cyclone Debbie struck, still made time to see me to inscribe a lovely Airlie Beach book and write a warm and welcoming letter to the people of Ireland. My darling Mum Lorna Prendergast who made sure that I packed one of my dad Jim Prendergast’s fabulous “R.A.A.F Bairnsdale” books to present to Cllr Kavanagh, my Irish Grandmother’s Rosary beads to keep me safe and $50 for anything that might pop up. And last but not least, Barry my wonderful husband and blog master who, even though he is thousands of miles away, compiles my words and photos to post on my blog every day and skypes me every night. Thank you so much to all concerned, your love and support is greatly appreciated.